Bear Bottoms is a wonderful cabin located in a log cabin community. It is situated on the side of a mountain and is semi-secluded. 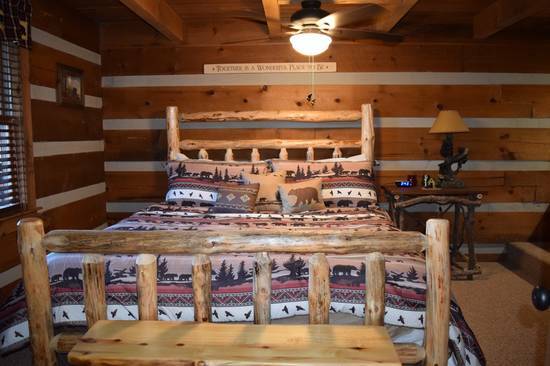 The cabin has one private bedroom with a king size memory foam bed and and extra large whirlpool bath. The ensuite bathroom has a stand up shower, vanity and commode. The open concept living room with cathedral ceiling and exposed beams has a comfy couch, chair, wood burning fireplace, small dining table and fully equipped kitchen. The living room also has a large screen TV with DVD player and free wifi. 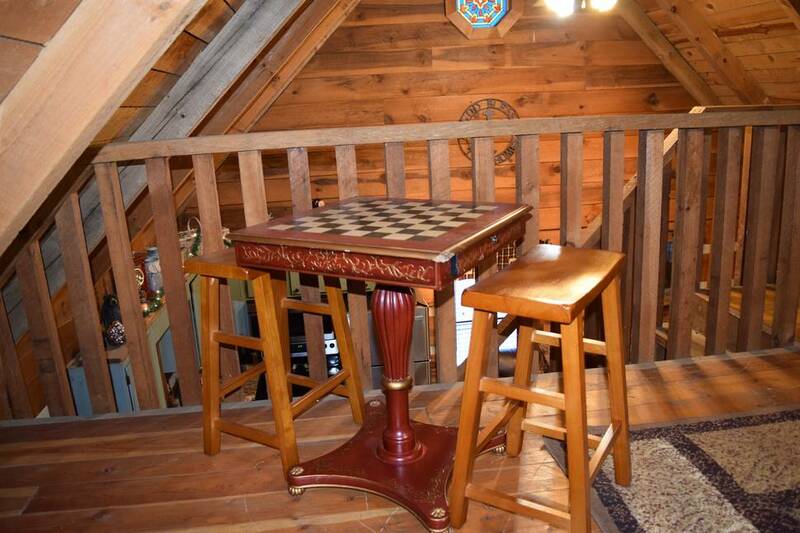 The open loft in the cabin has a queen size bed for extra sleeping. Don't forget outside living as well. 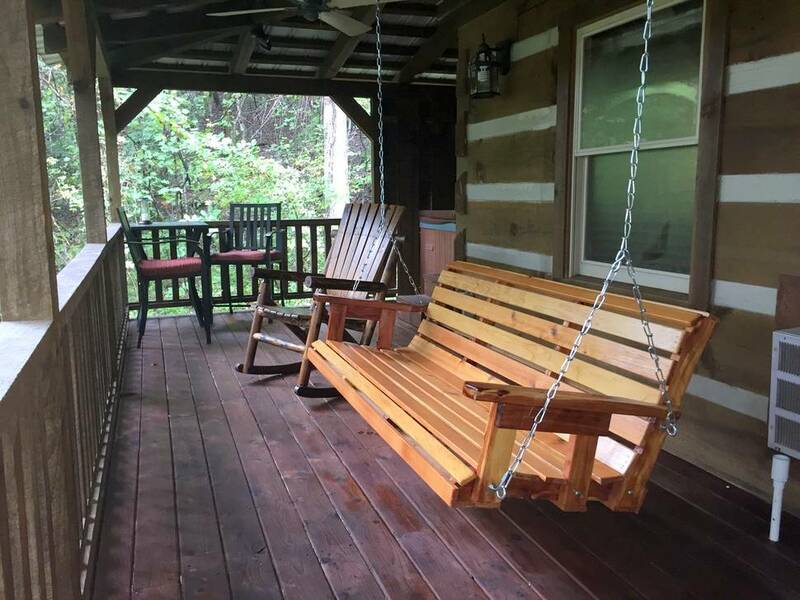 Bear Bottoms' covered deck boasts a swing, dining area, fire table and a private hot tub. 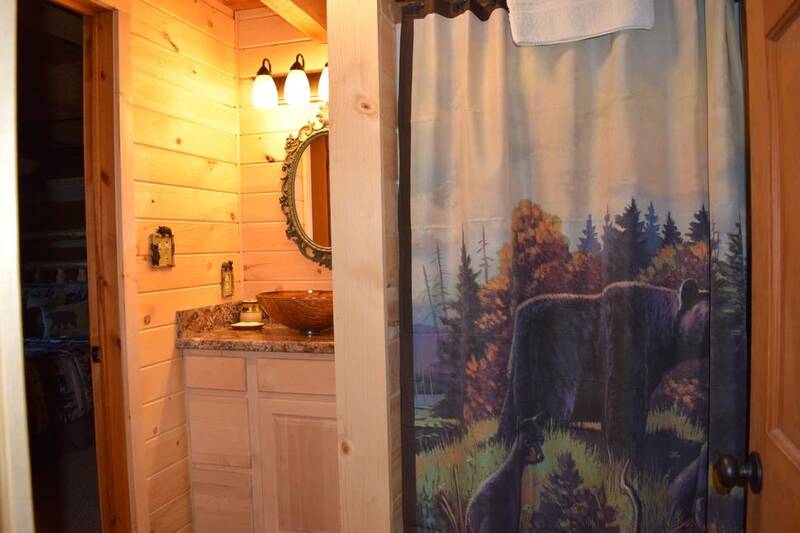 Bear Bottoms is conveniently located in a log cabin community. 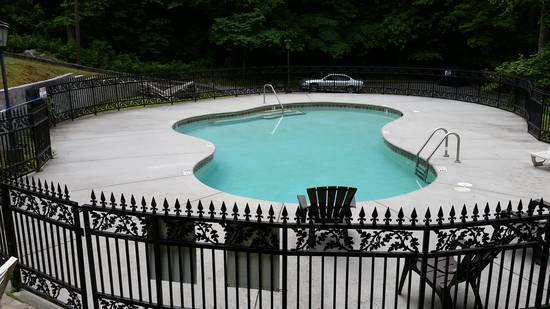 It is approximately 1 block from the seasonal pool and covered pavilion. 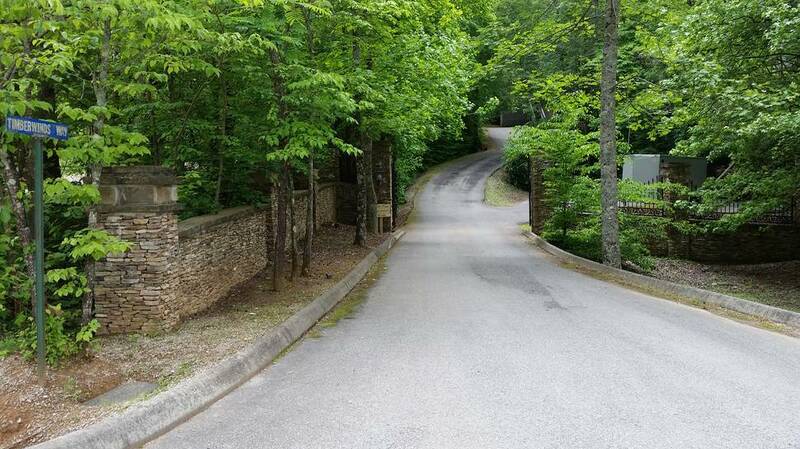 Located in Townsend, TN, just outside the Great Smoky Mountains National Park and Cades Cove. Rates start at $99.00 per night. Had a reservation on another property that I really enjoyed but it had been sold and was no longer available for rental.Thankfully was transferred to this property that as it turned out fit the bill quite nicely. 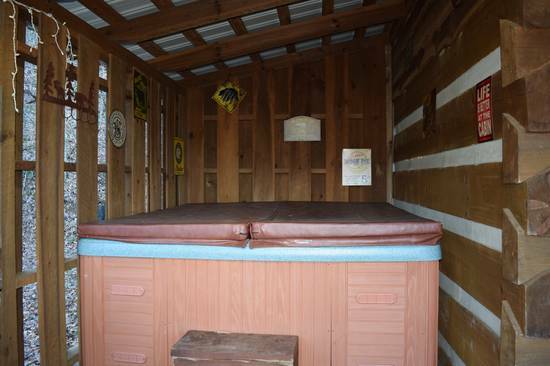 It had all the amenities we needed. Would stay there again. We loved our stay in Bear Bottoms. Many wonderful amenities that made our stay very special. We had a great time! The cabin was clean, spacious and comfortable. I would highly recommend to friends and family! This makes several trips in the past 4 yrs to Smoky Cabins. It's always a wonderful experience each time we visit. Couldn't imagine staying anywhere else. It's the perfect getaway. Great cabin. Enjoyed our stay very much. Nice cabin. Would stay again. A really beautiful cabin. Really enjoyed our stay. It was a wonderful experience. Such a relaxing place to stay. We spent some time on the porch eating and drinking coffee, listening to the beautiful sounds and looking at our gorgeous scenery. The beds were comfortable and the jacuzzi tub was amazing to relax in after our half marathon vacation race. Thanks for a great home away from home experience. This is a great cabin to stay in . 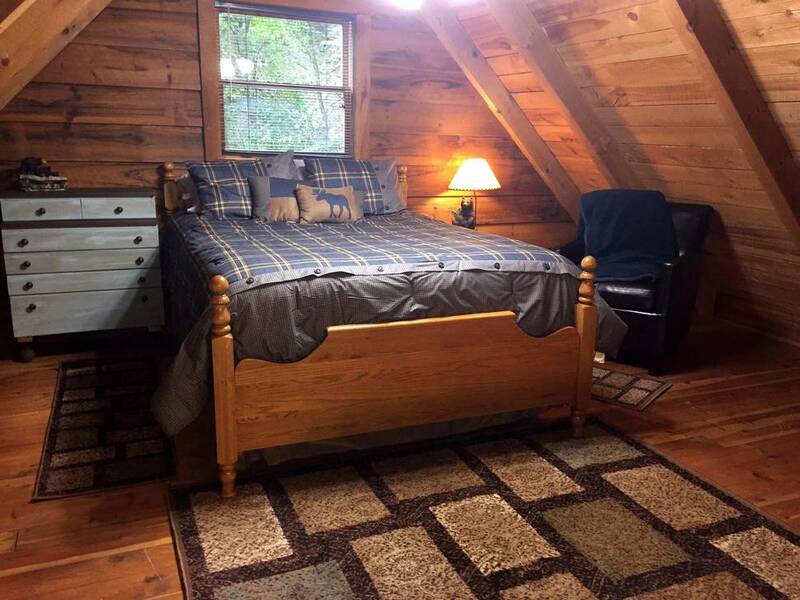 The cabin is cozy and very private. Would love to stay here again. Comfy cabin in a quiet setting. Had everything we needed. We enjoy your cabins. We have stayed in 3-4 of the cabins during our Smoky Mountain vacation. Easy reservation system. 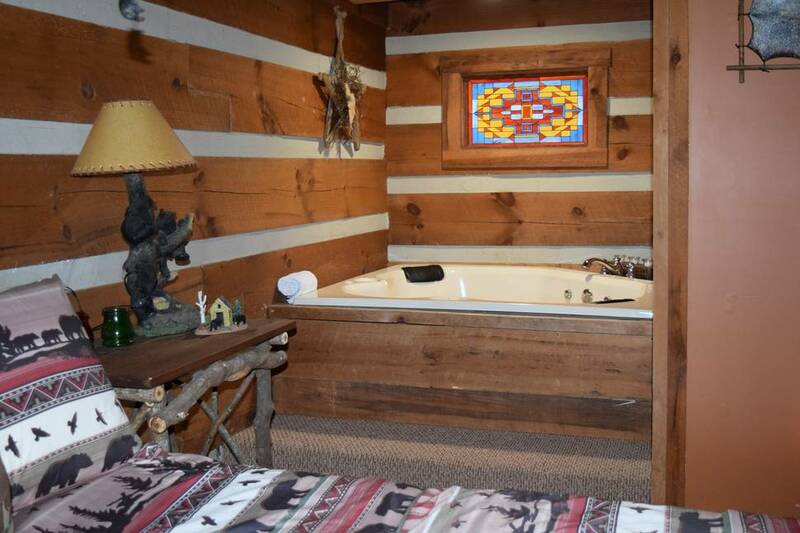 Hands down the nicest “couples” cabin we’ve stayed in. The price was great! The mattress, pillows and bedding were amazing-a huge plus for us. The setup of the hot tub and jacuzzi being tucked back in the corner was so cozy and relaxing. Having nicer than average dishes, pots, pans, grill, etc made for a more enjoyable stay. We brought all our food so we stayed in and enjoyed the place without leaving until our checkout day. We absolutely loved everything about this cabin and plan to return next year for our 7th anniversary. Thank you for having us! Management Response: Thank you, Ken & Kathy, for choosing Bear Bottoms!! We appreciate your business!! Very nice, clean cabin! Hope it’s available the next trip we take. Definitely saving contact info. Property was very clean and exactly as advertised! Everything worked as it should. Appliances were new or nearly new. Beds and other furniture was very comfortable. I would recommend this facility to anyone considering a stay near the Great Smokey Mtns. .... But your driver needs to be comfortable with some steep hills and sharp turns! Wonderful cabin. Very comfortable. Professional staff. Prompt in response. Very private and cozy. Great location. This was the perfect 2-night getaway! We had such a wonderful time. 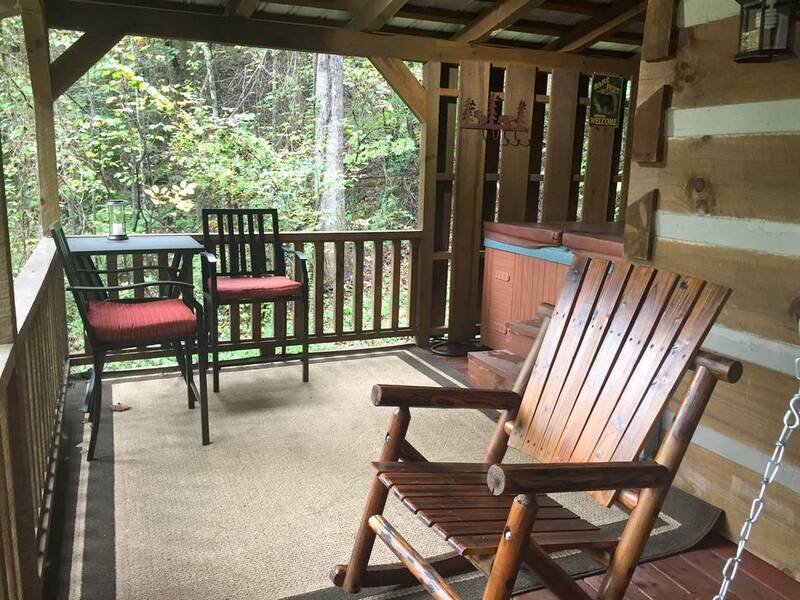 The cabin was conveniently located near pigeon forge and we were able to enjoy dinner and shopping for a few days. This cabin was in a perfect location! Last year my family stayed at a cabin near Gaitlinburg, but it took quite some time to get to food and the hiking trails. Bear Bottoms was within a few miles of good food and the best trails! We also loved the hot tub after hiking every day. It was a cute cabin that we wouldn't mind coming back to next year. Yes! This was a wonderful experience! Management Response: Thank you so much for staying with us!! We have stayed with Smoky Cabins three times and each time was wonderful. 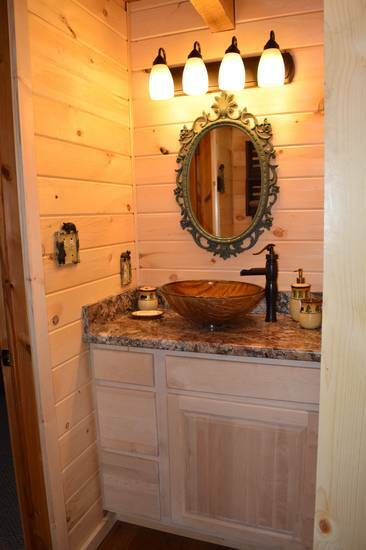 Such beautiful cabins and so neat and clean. We hope to return there in the fall. We had such a great time. 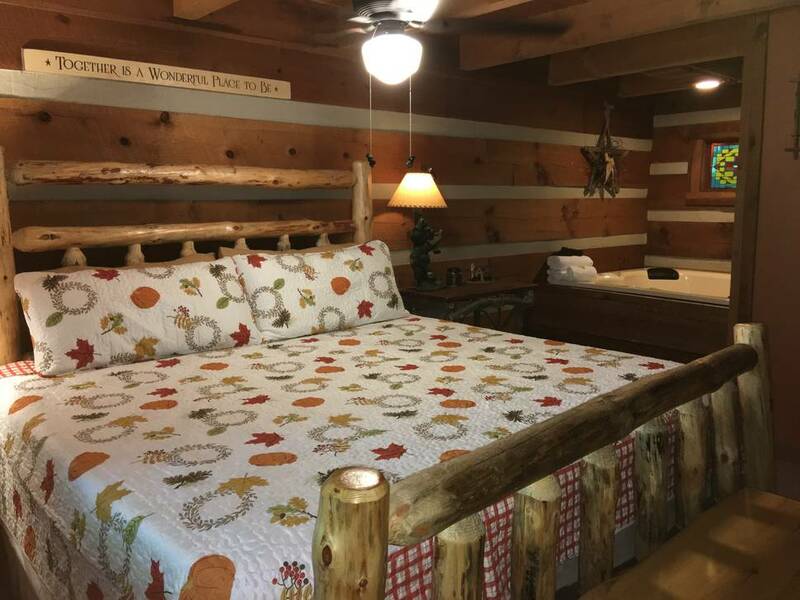 The cabin was clean, the beds were comfortable and the area was terrific. We'd definitely recommend this cabin to everyone!! Thank you! 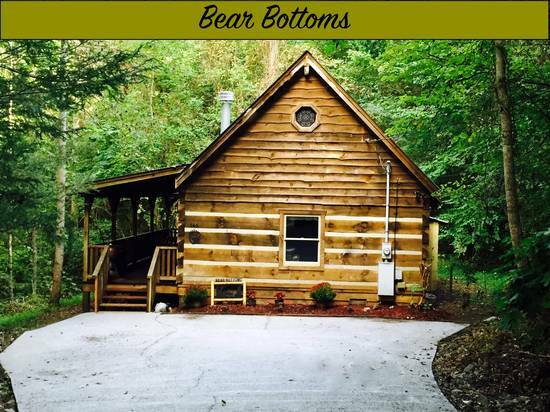 We have stayed with Smoky Cabins many times over the past several years and I do believe Bear Bottoms is our favorite cabin. Overall we really enjoyed our stay at Bear Bottoms! The cabin was clean and well stocked. We took advantage of Cade's Cove and Davy Crockett's Horseback riding being so close to the cabin. Upon arrival the heat/ac unit in the living room was not functioning correctly- it would only blow cold air. I did call to the office and she stated she could have someone come out the next morning. I told her that if we could just turn it off- I thought we would be fine so she stated that was okay. It did stay pretty chilly, but we were okay. We enjoyed the hot tub and fire pit on the front porch the most. Management Response: We have looked at the heating/a/c unit in the living room and it just needed an adjustment. It is working fine now. Thank you for staying with us!! This is my third time staying in this cabin and it’s just as cozy as could be. 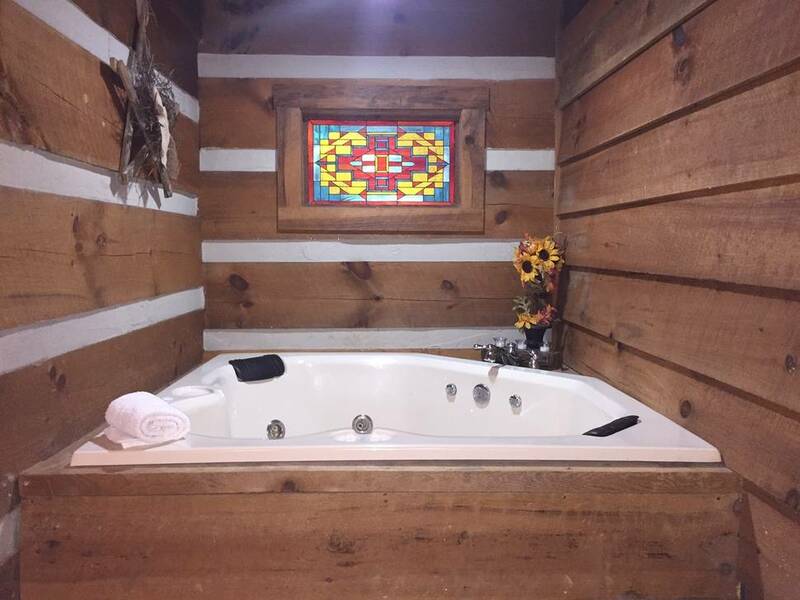 Smoky cabins is a dream to book with and will definitely be vacationing with them again! For the third year in a row, my family and I spent a blessed and restful week at our home-away-from-home. The accommodations have always been warm and inviting and this year was no exception. Fresh and clean upon entering. Christmas tree was still in place and lit which made it feel like home! Perfect for my family of four for two days. Beds were so comfortable!